This month included an eye shadow palette from Jesse's Girl, Benefit High Beam highlighter, a Zoya polish, Mally Waterproof Eye Liner, Uberliss Straight Hair Oil and Pop Beauty Lip Gloss. This months bag is pink on the outside with a white zipper. The inside is a pink leopard print! Mally Beauty has a line of waterproof eyeliners in multiple colors. This month I received a metallic silver in Starshine. The liner is very metallic and applied wonderfully. However, I just don't see myself using a silver eyeliner anytime soon. 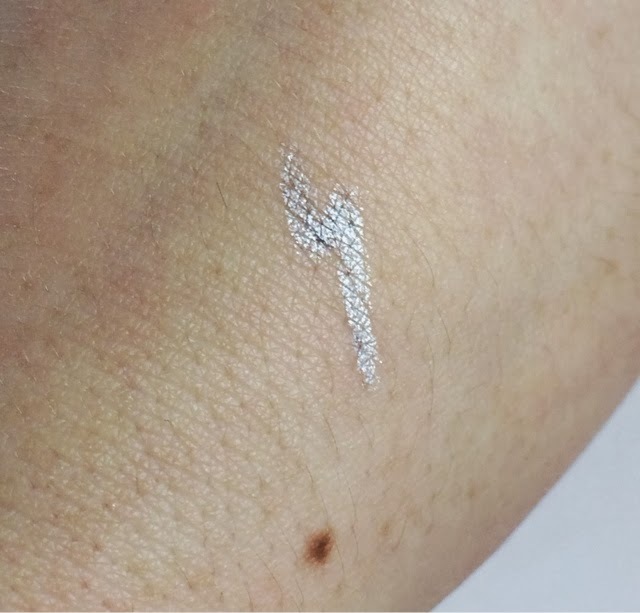 I received a silver eyeliner from Ipsy a few months ago that I've only used once or twice. I think I'll be putting this up for swap on my Edivv shop. POP Beauty's Plump Pout Mini glosses are full of lip plumping peptides, avocado and jojoba oils and very intense! Look at that color payoff! Application was very smooth and not too sticky. 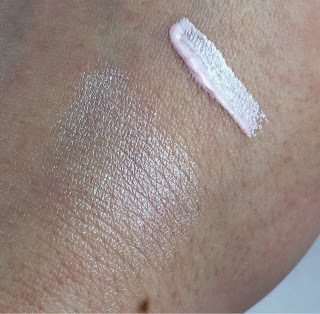 While I love the color I did not notice as much of a plumping effect as with other brands I have tried. My only real complaint with this Plump Pout Mini gloss is the smell of the rubber cap! It was funky. I had never tried hair oils before I started using Ipsy. Now they are one of my favorite products! Uberliss Rituoil smells like heaven, delectable orchid! A little bit of this product smoothed into the hair will preserve moisture, safeguard hair from damage using blowdriers, curling irons or straighteners and leave your hair soft, shiny and frizz free. I apply hair oil after showering when my hair has dried a bit but is still damp. It makes my hair smell fantastic, smooths and protects. 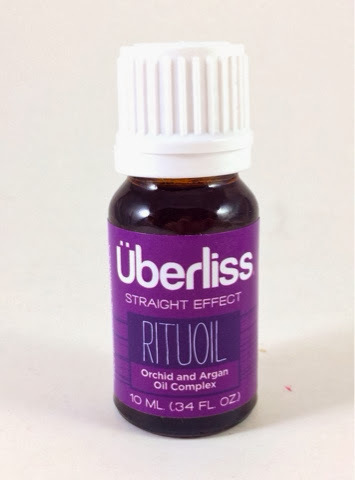 I heard some complaints this month that many of the Uberliss bottles leaked during shipping. If you had this issue contact Ipsy's customer service. They're great at fixing issues. I"m kind of an eye shadow snob. My go to is Urban Decay and I don't use much else. 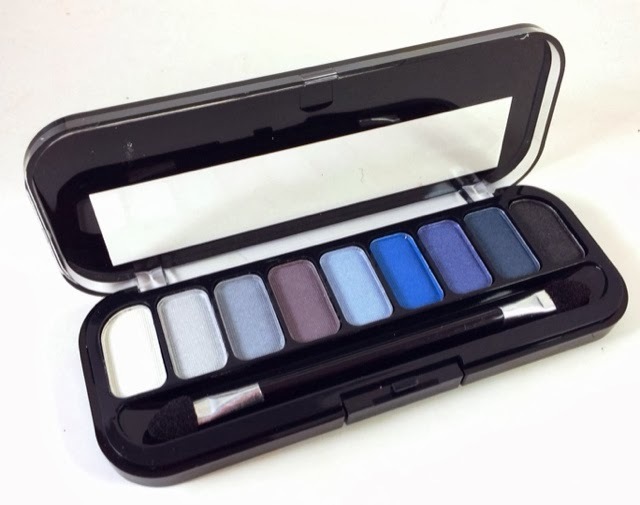 I do like some of the blues included in this palette but, I always worry about cheap eye shadow. I know that nasty fillers that can be dangerous to your eyes can sometimes be included in cheap shadows. I opted not to swatch this palette since I'll probably just put it up for trade. Odette is from Zoya's Natural Collection that just released this past January. Odette is a dusty purple/maroon cream. This is typical Zoya formula which is great! I'm looking forward to using this shade this coming spring. 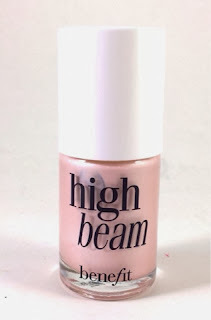 I have always heard amazing things about High Beam from Benefit. When it was available as a bonus item if you had Ipsy points I grabbed it right away! I thought it was a travel or sample size and I was very excited to open open my Ipsy bag and find a full size box! This luminescent complexion enhancer is a shimmery pink in the bottle. When smoothed out the shimmer gives a dewy, radiant glow. I have used NARS Albatross as my highlighter previously but I am really loving the complexity and sheen of High Beam. I could be a convert to Benefit! Overall, I received a $38 value for this $10 bag. :) $64 when you include the Benefit High Beam! 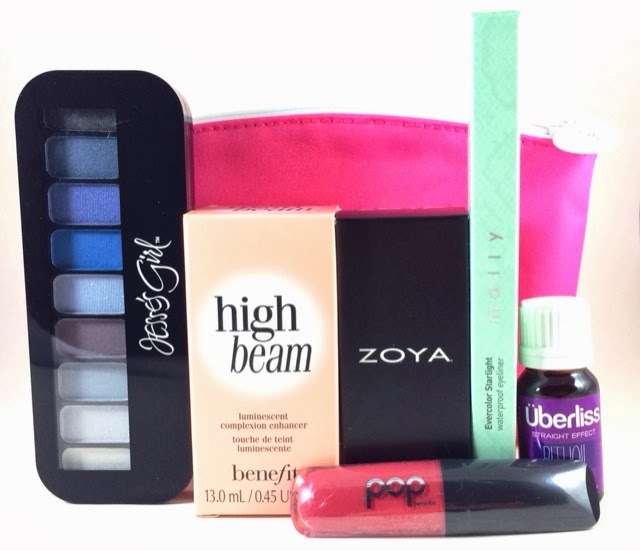 To sign up for your own Ipsy subscription simply click here and take their beauty quiz. The quiz will match you with products tailored to your tastes and color preferences. You can cancel at anytime. For a measly $10, I've always found it worth it! 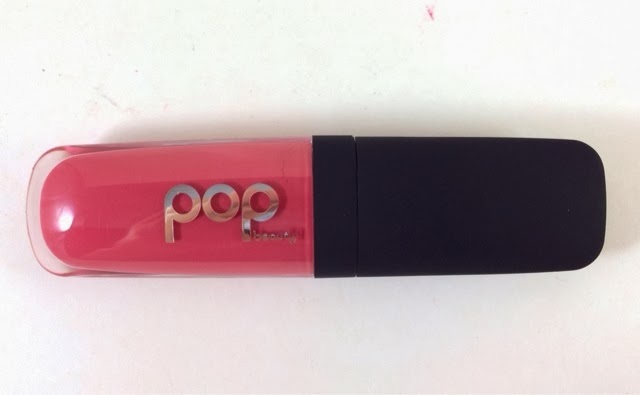 RE: POP Beauty gloss. It's not the rubber cap, it's the product itself. The product ingredients in the mini that were sent out by Ipsy are not the same as listed on the POP Beauty site. The full size gloss ingredients are also not as listed on the POP Beauty site. I have on my own blog and on Facebook the ingredients from the mini and the full size which prove that both labels are not what the website has. Also POP Beauty and Ipsy have acknowledged there was a manufacturing issue with the minis yet POP Beauty is claiming, which Ipsy is reiterating, that it was due to a missing flavouring ingredient.